In 1986, a new star evolved in the Laughlin community, Gnats' Landing! 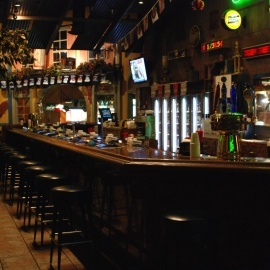 To say it's just a place to have your favorite beer or cocktail would be a great disservice, as many other amenities are included that will surely enhance any visit to Laughlin's first tavern. 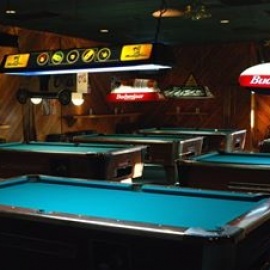 If you want a place to just relax, sip a libation of your choice, while-away your spare time by casual play on one of our 15 state of the art Video Poker machines, meet friends, have a party or reception, enjoy a friendly game of pool on one of the seven pool tables, enjoy a sporting event on either our numerous 50″ LCD TVs, Gnats' Landing is surely the place to be. AND ALWAYS FREE DRINKS TO PLAYERS! If you happen to have the munchies, the Pizza Hut/Wing Street window order and pick-up is just an arm's reach from where you may be sitting and can easily satisfy the "feed me… I'm hungry” signals your tim-tum may be sending, without ever leaving the building. If your not thirsty, hungry, or not feeling the itch to try your luck at gaming, you can just marvel in awe in a unique New Orleans setting. Check out the Voodoo wall behind the bar, the 25-foot authentic coffee bean tree, the hand painted murals on the wall, and just the overall décor in general.